Steve G. Jones, Ed.D., Clinical Hypnotherapist, charges $1,500 for a custom recording and $25,000 for a one-hour private hypnotherapy session at his office. But you can get all the benefits for this low price. Simply listen to the Fear of Rejection Hypnosis MP3 every night as you go to bed for three weeks and feel the changes happening in your life. You will feel more empowered, more in touch with your true self, and you will truly be able to set yourself free from the debilitating fear of being rejected, safely and naturally – once and for all! because you fear of others’ lack of acceptance or disapproval? STOP FEARING REJECTION – for good !!!! Steve G. Jones achieves AMAZING and LASTING results!!! The Fear of Rejection Hypnosis MP3 is the easiest way to affect change in your life because the positive messages go straight to your subconscious mind effortlessly so you can accomplish your goals and reach for the stars!! All you have to do is listen to the mp3 at night as you go to sleep!!! You’ll hear soft music, the gentle sounds of the beach, and the soothing sound of Steve G. Jones’ voice all working together to bring about positive changes in your life easily and naturally. 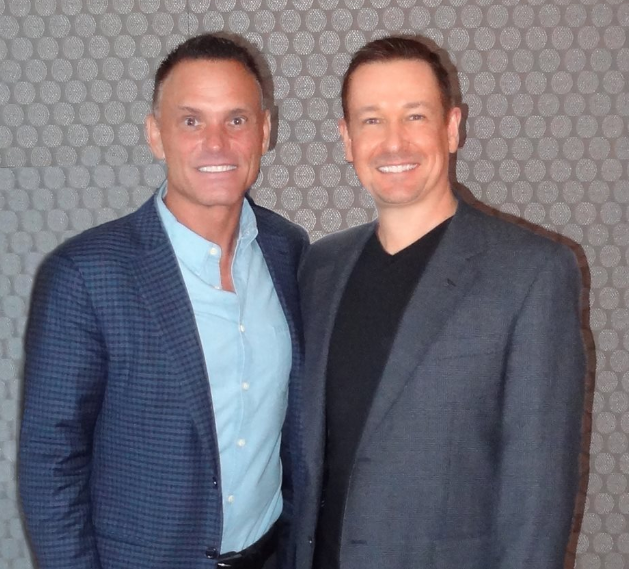 Steve G. Jones has been helping people improve their lives with hypnosis for over 20 years…now it’s time for him to help YOU… don’t wait, do it NOW !!! you’ll be glad you did. See you at the top! There have been many times in our lives when we have been rejected by someone or something. Perhaps you have been rejected by someone you were interested in. Or maybe you interviewed for a new job and you didn’t get the position. It happens to all of us, but you can change the way you let it affect you. I want to shout from the rooftop that you don’t have to be scared of being rejected. You can turn things around and really learn from rejection. You’ll never know how something will turn out until you try. Don’t take rejection as a failure, take rejection as a motivator toward success. If you feel rejected by someone or something, hold your head up high and keep working toward your goal. I encourage you to not let the fear of rejection stand in the way of accomplishing your goals and dreams. You have great things to strive for in life and I encourage you to stay positive and meet those goals! And as you continue relaxing deeper, deeper and more deeply relaxed, I would like you now to imagine yourself in a situation, any situation you choose in which you are trying to get something. Perhaps it can be a situation in which you are trying to sell something to someone or a situation in which you are trying to have a date with someone and perhaps get their phone number, but make it a situation that you anticipate to you in the near future. A situation in which you are trying to get something from someone. And imagine yourself there now. And now I would like you to imagine your favorite movie star, whoever it may be, your favorite movie star, that’s right, just pick one and you can change it each time you listen to this recording if you would like. And make sure this movie star is someone who is very strong minded, very powerful in your eyes and I would like you to imagine them now being ten feet tall, that’s right, imagine them being ten feet tall, and standing right behind you, watching over you, protecting you with their arms folded. So that this person you are talking to, this person you are trying to get something from can see them and they are intimidated by them and you smile an laugh to yourself. You are relaxed because you know now that whatever you ask for, you will get. And you also know that if you don’t get it, that’s fine because you are relaxed and confident at all times. So imagine yourself now talking with that person trying to get what you want to get and you either get it or you don’t but you are confident the whole time because you realize that person feels your power because you are backed up by your favorite movie star who is ten feet tall and very, very intimidating. And whatever the outcome, whether you get what you want or whether you do not, you are happy with the outcome. In fact, you realize that if you are rejected, that is fine because you realize that you must be rejected a few times before you arrive at a yes. So every time you hear a no, you are happy because you realize that you are one step closer to getting that yes that you want and deserve. You realize that rejection is part of winning. Rejection is part of being accepted and you accept this because you accept yourself. You are fine at all times. Whether you are accepted and rejected by others makes no difference in the way you feel about yourself because you accept yourself at all times. Now imagine yourself back in that scenario where you are talking to that person trying to get something and you turn around and look up and look at your favorite movie star and you smile and they smile back at you and they nod because they know that you are safe and secure. You are protected at all times. You are always protected. Your ego is always protected because you protect it by imagining this force standing behind you, protecting you, watching over you. Imagine them putting their hand on your shoulder now, your favorite movie star, they’re putting their hand on your shoulder, comforting you, reassuring you, giving you the confidence you need to relax and accept rejection. And when you are accepted you realize that is part of life also. You accept this because you expect to win. You expect to win eventually. So whether accepted or rejected, you are fine. You are comfortable with yourself. You are relaxed at all times. You are a winner and winners have a certain percentage of acceptance and a rather high percentage of rejection. And you are proud of this. You realize that you are a true winner. You’re out there, you are trying. You are getting rejected and you are getting accepted because rejection is part of acceptance. You accept this as reality and you are comfortable with this because you are comfortable with yourself and you understand the true nature of success that you must be rejected a certain number of times before you are accepted. So you continue moving forward, continue going after what you want. All obstacles move out of your way because you are focused like a laser, that’s right. When you are rejected, you simply build your self esteem and your motivation because you are indeed a winner. The fear of rejection can have a strong impact on many personal relationships. It can take a toll on personal relationships, friendships, relationships with family members, and work relationships. Realize that you do not have to live with a fear of being rejected. Living without the fear of rejection means a happier you and better relationships with others. You have a lot to gain by overcoming your fear. Whether you have a fear of being rejected by a significant other or rejected from a job position, this hypnosis program can help you get rid of your fear of rejection. Hypnotherapy is a powerful tool that will help you change your thought patterns. Oftentimes, people have deeply rooted feelings of rejection. It is important to deal with these feelings in a positive way. This Overcome fear of Rejection hypnosis session will help you get past your feelings of rejection and start to open up to other people. This program will also give you more confidence in yourself. You will see changes in friendships. If someone turns down your invitation, you will know not to take it personally. Instead of automatically having feelings of rejection, hypnosis will teach you to think rationally and not feel rejected. Overcoming your fear of rejection will dramatically improve your life. This powerful Fear of Rejection Hypnosis MP3 session will also give you extra confidence because you are a smart and likable person. You will begin to see yourself for who you really are and not how others might see you. Overcoming your fear of rejection will help you have a more positive outlook on life. Relationships are difficult even for people who do not fear rejection. No one likes being rejected. Your fear of rejection should not govern your relationships with other people. You deserve to open yourself up and be confident and open with others. Yes, you might feel vulnerable at first, but realize that hypnotherapy will help you be okay with vulnerability and to no longer fear rejection. You should listen to the Fear of Rejection Hypnosis MP3 program for 21 nights in a row before going to bed. You will begin to see powerful and positive changes in your thoughts, feelings, and actions. 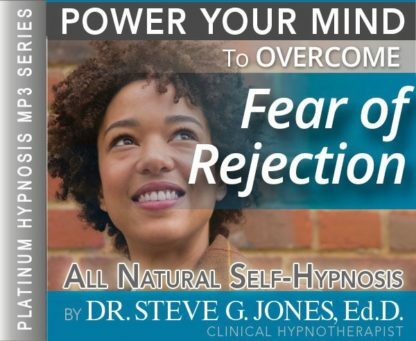 You can and will overcome your fear of rejection with hypnosis.